crafty lil' thing: Scarlett's new venture. 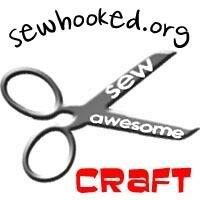 Scarlett, owner of the lovely blog, As I Knit, is launching a new Etsy shop: Go Scarlett! She is running a contest to name her new venture and giving away fabulous handmade prizes. I haven't seen them yet but, I have seen her work on Harry Potter Crafts and let me just say, I'm in. The drawing will close midnight Friday, January 11, 2008 and she will announce the winners the next day. You can find all the details here. Click on over and give her a name, why don't cha. Oh thank you for the shout out, you are too kind! And thanks for the nice compliment on my Harry Potter Crafting. I have to get a new ink printer on Friday and then I can post pictures of my goodies! Can't wait to see the goodies!